Phil Schilling was an ex-racer most famous for being the editor of Cycle magazine and for his involvement in the creation and racing of the classic hot-rod Ducati named Old Blue. 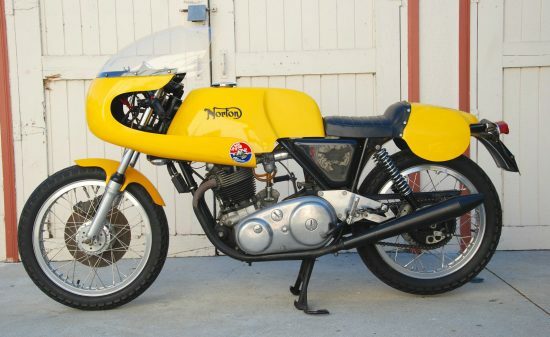 But as with any good motorcycle enthusiast, his tastes were varied, and apparently this bright yellow Norton Commando production racer was built to his specifications. Norton’s old-school approach to motorcycle construction may not have been cutting-edge at the time, but means that they’re relatively simple to work on, many parts are interchangeable between models [see: Triton], and plenty of the reliability issues can be addressed with updated parts or regular attention. And while many bikes at the time boasted more advanced specification and design, Nortons were fast, powerful, and handled well. A steady increase in displacement to keep Norton’s power competitive with rivals and appeal to US buyers meant unacceptable levels of vibration. Parallel-twins are extremely compact and far simpler to manufacture than v-twins, but they do tend to vibrate more when not fitted with modern luxuries like engine counter-balancers. By the time the Norton twin was punched out to the race-legal 745cc likely found in this bike, vibration was enough of an issue that a solution was needed. 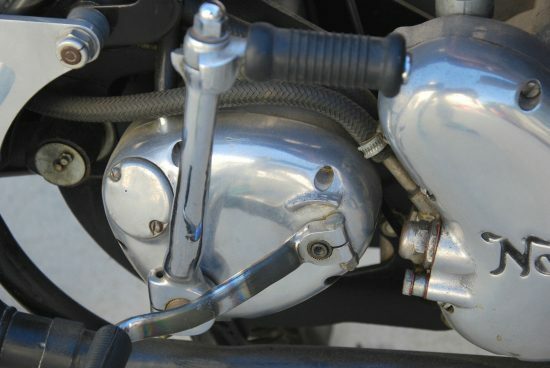 Instead of rubber-mounting the bars, pegs, seat, and anything else that might interact with the rider, their innovative Isolastic system used a system of rubber mounts to insulate the engine itself. It works great when properly set up but, like all rubber bushings, they need regular attention: worn Isolastics can mean scarily unpredictable handling. The ex-Phil Schilling 1971 Norton Commando 750cc Production Racer, Fully Documented, to AMA 750 Spec, 1 of 1! 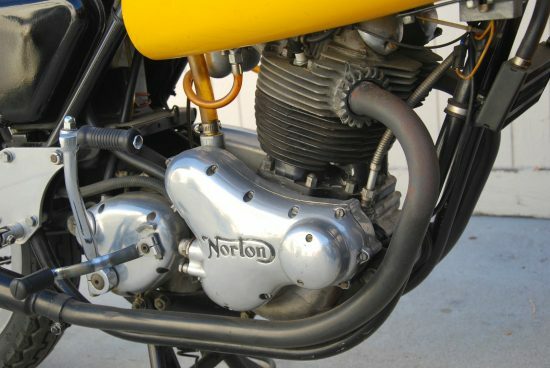 Its innovative vibration-beating Isolastic frame enabled the Commando to prolong the life of Norton’s aging parallel twin. Launched in 1967, the model was an instant hit with the motorcycling public, being voted Motor Cycle News ‘Machine of the Year’ for five consecutive years. A true ‘skunkworks’ project, the Production Racer was introduced for 1971 and hand-assembled at Norton race manager Peter Inchley’s famous ‘Long Shop,’ a hangar at the old Thruxton air base. A homologation special built for little more than one season to qualify for various 750cc road racing series, the street-legal ‘Proddy Racer’ was the fastest/quickest Commando made, capable of 130mph as delivered with a list price double that of standard Commandos. Credit for the performance goes to the blueprinted engine, meticulously assembled with high-compression pistons, factory 3S racing camshaft, ported cylinder head, larger valves and polished internals, good for at least an additional 10bhp over an assembly-line Commando. Handling likewise was improved upon thanks to test rider Peter Williams, also an excellent development engineer, who could simply throw open the hangar doors and commence to hot-lapping the adjacent Thruxton race circuit. It certainly did the bike’s credibility not one iota of harm when Williams and co-rider Charlie Sanby took a Production Racer to victory in the 1970 Thruxton 500 endurance race. While records aren’t definitive, it is believed that fewer than 200 Production Racers were made, perhaps as few as 120. 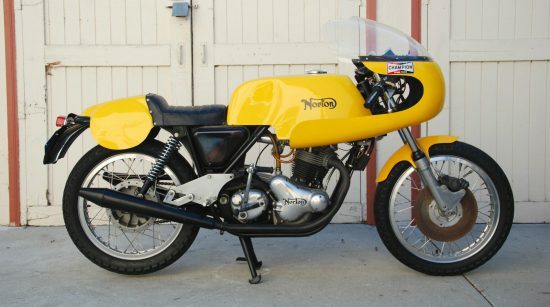 The example on offer here, is a tad more special than the average, incredibly rare Norton Proddie Racer. The bike was built for Executive Editor of Cycle magazine and famed racer, Phil Schilling. A great collector of classic machines, Schilling sensed the collectability of the Norton, so had Peter Williams personally build him the ultimate iteration of the ultimate Commando. The engine is much wilder than that of the standard Production Racer, with a host of trick parts. The engine was built to the same specification of Williams’ AMA750cc Class Special with Norvil ‘Triple S’ cams, high 10.25:1 compression pistons, big 32mm Amal Concentric carbs and twin megaphone exhausts. A Quaife five-speed gearbox replaced the standard item. Fork sliders and internals have been reworked for superior damping, while the swingarm bushing was totally revised, and the arm itself was lengthened. 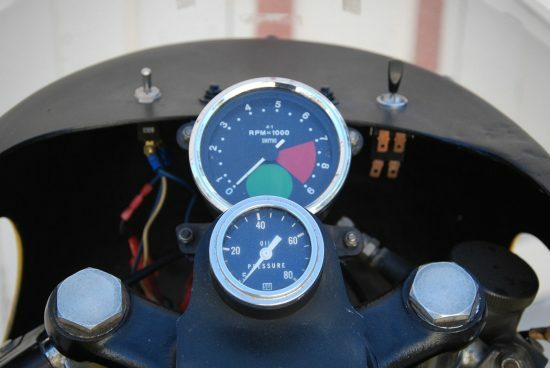 A 6-gallon gas tank replaces the standard Production Racer item. The bike was extensively tested by Peter Williams on the Thruxton track before delivery in August of 1971. This amazing piece of Norton history is accompanied by a letter from Norton Villiers’ Chairman, R. D. Poore to Cook Nielson at Cycle magazine discussing the delivery of the “Schilling Norton”, original spec sheets from Norton, and the magazine article, scans attached to the listing. I have confirmed the factory records, which say that Engine/Frame number 145102 was recorded as a racer, dispatched to Berliner, the US distrivutor, on August 4th, 1971. This irreplaceable historically significant bike has been on static display in a very prominent collection of high-end motorcycles, and, as such, some re-commissioning will need to be undertaken before returning to the track. There’s very little time left on the listing, with a Buy It Now price of $29,000. That’s obviously huge money for a Norton Commando but, if the seller is to be believed, this is a one-of-a-kind motorcycle and would easily cost that much just to build a replica, ignoring the historic value. It’s tough to put a value on such a rare machine but, with no offers yet, this one might be priced just a bit too high. Certainly, the link to Schilling is pretty cool, but collectors seem to value actual race history and that may be affecting the sale on this one. Hopefully, the right buyer will find and prep this bike for some vintage racing. It’s what Phil would have wanted I’m sure. I always liked Norton’s Production Racers. They were built by the race department and due to careful assembly ran much better than production models. They were very competitive in their day despite the aged design I would love to ride one someday.